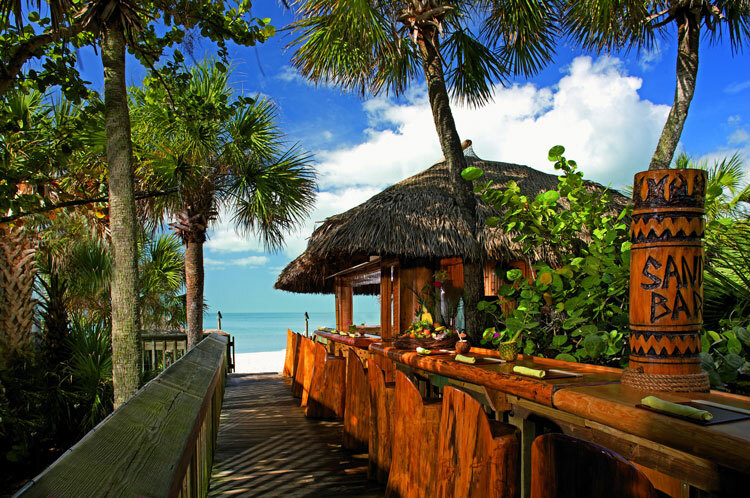 Are you thinking about visiting Bonita Springs? Whether you are staying for a day, a weekend, a week or a month you are sure to find the finest and most comfortable accommodations to meet your needs and make your stay pleasant at any one of the Bonita Springs Hotels. While Bonita Springs is extremely well known for its exclusive neighborhoods and charming communities, many visitors enjoy the convenience of a staffed luxury hotel. Whether you are here for business or for pleasure be aware of the wide range of activities available to you. Bonita Springs is known for its relaxed lifestyle, natural beauty, its proximity to the Gulf of Mexico, the outdoor recreation, golf courses, boating, entertainment, shopping and dining and so much more. You will never run out of things to do here. The hotels in Bonita Springs are also built and run with guests in mind so there is always something going on at one of the local hotels. The Bonita Bay Trianon is a wonderful hotel with 100 expansive guestrooms that are tastefully designed and comfortable. Each guestroom is 410 square feet and offers individual climate control, color TV, two multi-line telephones, full shower and separate tub, TempurPedic mattresses, spacious closet space and dressers, personal safe, vanity, work desk and free wireless internet. The hotel is also equipped with handicapped access, 24-hour security and fire alarms. The Bonita Bay Trianon has a heated pool, conference room and plenty of parking spaces. The hotel is located on the lakefront entrance to the Bonita Bay community in Bonita Springs. There are numerous parks and recreation located nearby such as the Gulf beaches ad the Shops at the Promenade. uests at the Hyatt can unwind in the spacious guestrooms and suites, enjoy scenic sunsets over the water, enjoy a pleasant game of golf, recharge at the Stillwater Spa, plunge down a waterslide or enjoy one of the three refreshing pools, delight in culinary creations and so much more. The Hyatt is also a wonderful place for business events and conventions or fairy tale weddings. The Ritz Carlton offers the perfect combination and balance between traditional luxury, elegant service and modern amenities. The hotel has 450 guest rooms including 35 suites, 2 presidential suites and 70 Ritz-Carlton Club level rooms with unparalleled views of the Gulf of Mexico. The hotel has won multiple awards, which is not surprising since it is one of the finest luxury brand hotels in the world. Guests can enjoy world-class restaurants, luxurious spa treatments or relax by the sparkling pools. This newly renovated hotel in Naples offers the perfect combination of Mediterranean charm and Southwest Florida coastal luxury. Whether you are looking for the perfect vacation spot, the finest wedding venue or a prime location for your next business event, the Inn at Pelican Bay will exceed all of your expectations. All rooms are equipped with comfortable bedding, plush terrycloth bathrobes, a mini fridge, complimentary Wi-Fi and a work desk. Guests can enjoy a day by the pool, a trip to the beaches or a relaxing spa day. Whatever it may be Inn at the Pelican Bay is committed to making each guest’s visit a pleasant one. Besides the luxury hotels listed above, Bonita Springs is also home to various Hilton, Marriot and other well-known brand hotels. If you are looking to visit Bonita Springs for a longer period of time and you want to experience luxurious amenities, but you don’t necessarily want to stay at a hotel considering looking into vacation rentals. The Bonita Bay community has 57 charming neighborhoods where there are various homes, condos and waterfront villas available as rentals. If you are interested in learning more about rental opportunities, investment properties or even real estate options in Bonita Springs don’t hesitate to contact the DNA Florida Real Estate team. Dan Humbert and Alberto Quiceno are experienced professionals who would be more than happy to assist you with all of your Bonita Springs real estate needs. Give them a call today if you have any questions about the hotels, rentals or real estate properties in Bonita Springs.